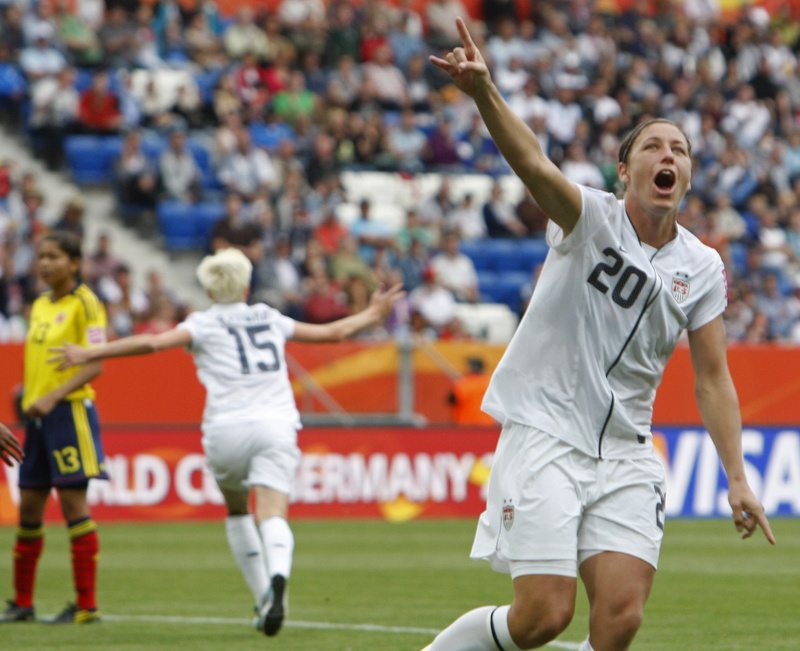 Goals by Heather O'Reilly, Megan Rapinoe and Carli Lloyd give the United States a 3-0 win over Colombia. SINSHEIM, Germany — The U.S. advanced to the quarterfinals of the Women’s World Cup today, routing Colombia 3-0 behind goals from Heather O’Reilly, Megan Rapinoe and Carli Lloyd. The scoreline could have been even worse for Colombia, which is playing in its first World Cup. The Americans missed at least a half-dozen other chances, including two headers by Abby Wambach and a shot off the crossbar by Rapinoe. The two-time World Cup champions now play Sweden, one of two teams to beat them this year, on Wednesday in Wolfsburg to determine the Group C winner. The Americans and Sweden both have six points, but the U.S. leads the group on goal differential.